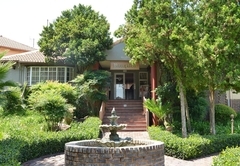 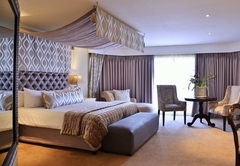 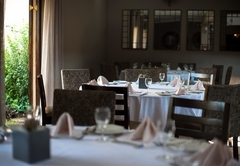 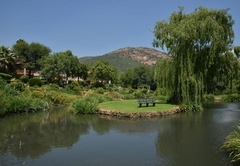 Glenburn Lodge Country Estate is a 3 star graded hotel offering Muldersdrift accommodation in 53 guest rooms. 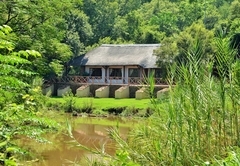 In the tranquility of the Swartkops Mountains, on the banks of the Blaauwbank and Crocodile Rivers, lies Glenburn Lodge. 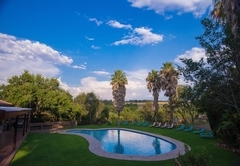 Situated within the newly declared World Heritage Site, the "Cradle of Humankind", this hotel is a mere 30 minutes from both Johannesburg and Pretoria. 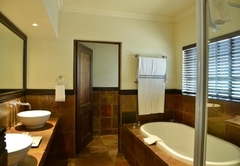 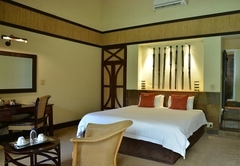 Glenburn Lodge Country Estate offers a total of 100 bedrooms made up of two and three bedroom chalets, 48 hotel twin rooms including two family rooms and two paraplegic rooms, as well as twenty one luxury suites overlooking indigenous bush and tranquil water features. 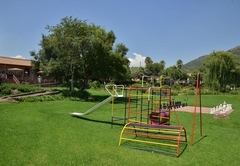 A host of exciting recreational facilities include bird watching along our river meander path or walking trails on the mountain ridge and along the river front of the property. 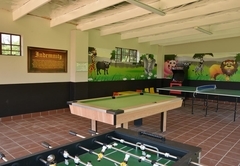 Fishing at various streams and dams or bathing and lounging at the rock pool complete with Jacuzzi and Grotto Bar or our newly appointed GlenPalms facility with swimming pools, putt putt, floodlit tennis court, kiddies play and entertainment venue. 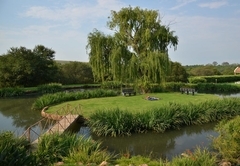 As well as Hot air ballooning & horse trails (off-site). 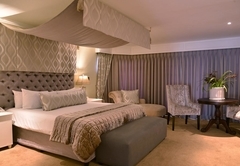 The stylish Country Spa has chosen the romance of the vineyard as its theme. 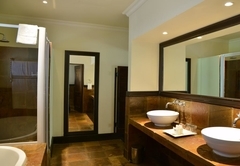 The five star Spa facilities include a total of ten treatment rooms of which two have private hydrotherapy baths, three have private gardens and the couples’ treatment room boasts with a romantic, private Jacuzzi. 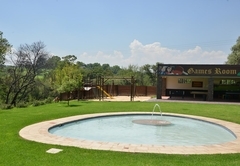 A heated pool and countryside patio completes the ultimate venue for relaxation. 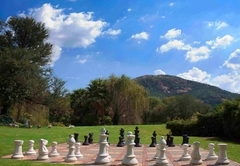 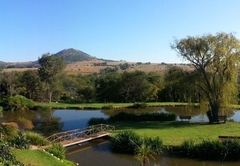 The natural scenic beauty of Glenburn Lodge makes it the ideal setting for conferences, product launches, think-tanks and team-building exercises. 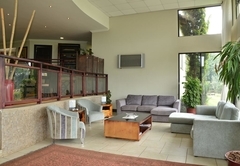 The Conference Centre seats up to 600 delegates across nine conference rooms, 3 breakaway rooms (with a additional 3 alternate breakaway rooms) and an executive Boardroom. 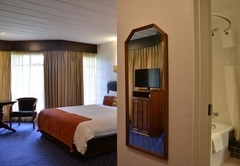 All rooms are fully equipped with whiteboards, flipcharts, and screens. 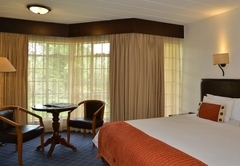 Overhead projectors TV’s and VCR’, PA system are available at an additional charge. 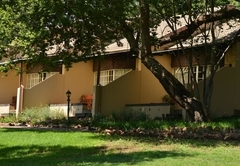 Fax, photocopying and Email/internet facilities are also available. 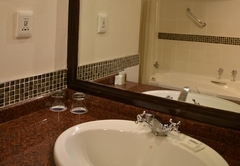 My wife and I thoroughly enjoyed our stay. 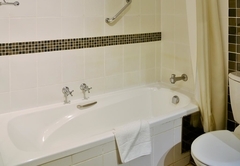 From the moment we arrived till we booked out we received a professional service. 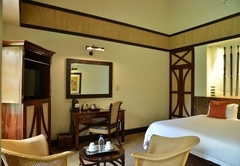 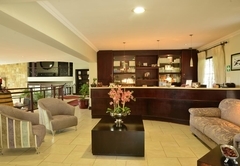 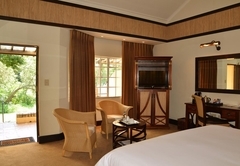 The booking experience were fast and easy and the facilities were clean and comfortable. 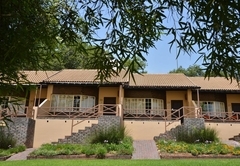 The facility is definitely an undiscovered gem of tranquility so close to the city hustle and bustle. 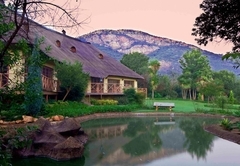 Glenburn Lodge is definitely high on my list for a weekend breakaway. 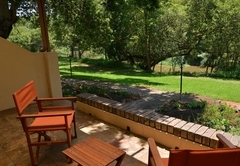 We were looking for a convenient place for a weekend getaway and Glenburn Lodge fitted it perfectly. 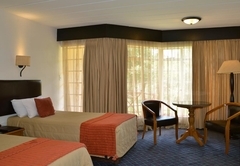 Less than an hour away, great amenities, good food, friendly staff. 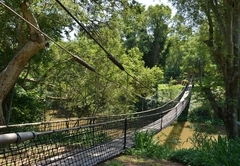 We left on Sunday with a real "feelgood" feeling. 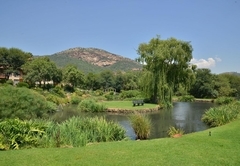 Response timeGlenburn Lodge Country Estate typically responds to requests in 5-10 minutes.